TK Residence is located at Teluk Kumbar, a residential property project by VST Group. 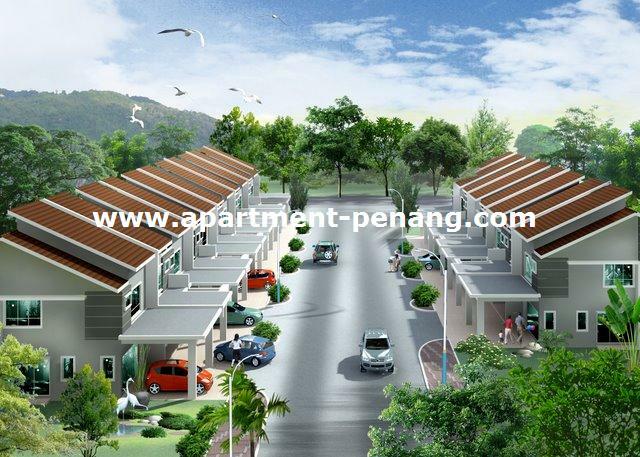 Ideally located with easy access to the Bayan Lepas Industrial Area, Penang International Airport and the 2nd Link Bridge. TK Residence comprises 30 units of 2 storey terrace house. 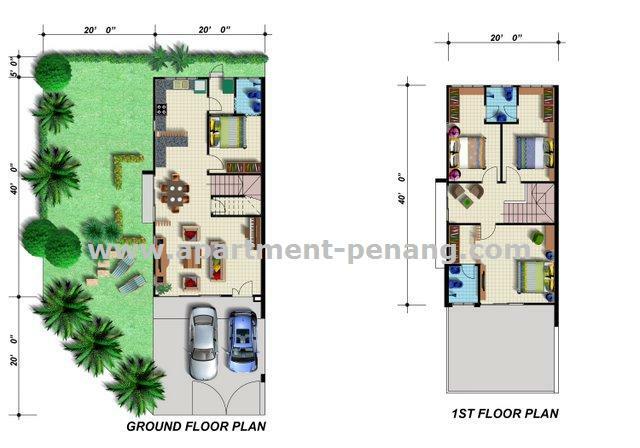 Each terrace house comes with land area measuring from 20' x 60' and built-up area of 1,780 to 1,953 sq.ft. Built-up Area : 1,780 - 1,953 sq.ft. Land Area : 1,200 – 2,600 sq.ft. What is the price of this project? Is it open for sale now? Soft launch in July 2010. The price haven't been finalized yet as our soft launch is only in July. We will update you from time to time on our soft launch. as for the developer you can always check their website www.vstgroup.com.my for their background. Is this further down south from Sunway Aspera? Does anyone was visited the office? Any comment on it? I visited their sales office 2days back and saw the model and listened to their sales team on the project. Overall i'm impressed with the project .They said it's still not the official launching yet so they don't collect any cash for booking, just registration only. I like the TK project but im more impressed with their mainland project if i were to invest in it. As for the area i have to say it's not developed to suit the modern houses yet..but i believed in the future most of the places there will be alot of new development. Thanks for the comment. Our team is very happy that we can provide you to the best as possible. Thank for your sharing, I've been there on today and drop my contact, there are 60+ people was registered. Register was hit up to 100+!!! How could I be the 1 of the 30. What's the price range for TK residence? 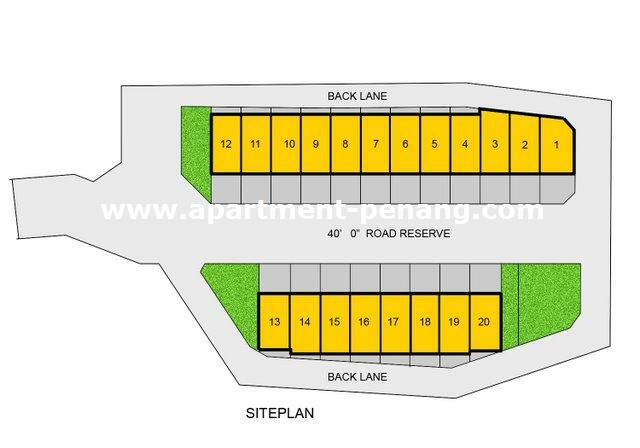 the price is starting from RM 590k onwards, we have limited units left , it's now open for stakeholder deposit . Units facing North , East and West . where is the exact location? it would ease some of us to have some idea if u could put up the google map on this page. 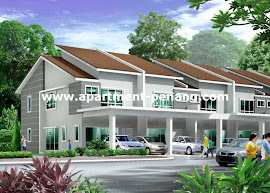 For RM590K, what's the build up and when will the project be completed? I do believe it is a very good investment... Teluk Kumbar is now heavily being "targeted" by lots of developers due to its rich natural surroundings and also untouched land. Tho as a marketing agent i do like property development but i still dont want to see a lovely green teluk kumbar become a concrete jungle in the near future. I do hope developers space out their developments so it does not become too congested, making it worst then it already is. I really support the governments move for the new proposed highway link from Bayan Lepas, i think it should be applaud and would ease allot of current traffic conditions. Besides that, it is a great place to start investing now for either staying/residential or even investment wise (to sell in the near future). What is the price? Any unit left? Showhouse is ready for viewing! " how much is this unit now? I went to see their show unit last week, and I have to say I am impressed. 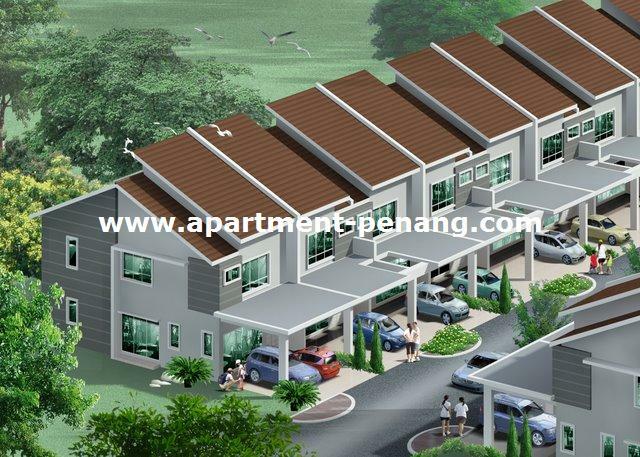 There is no flat or low cost building around, it is very suitable for investment and staying. I am interested to get a unit. Any unit left? Thanks. last unit just sold last weekend. but haven't confirm weather client loan can approve or not. Hi owners, I'm planning to set up internal forum among us...are you guys interested? Thanks Jason. Amnuaychai, how about you? Any news on the OC?